The Timeline of Spaceflight WikiProject has identified this article as requiring cleanup and/or expansion to ensure consistency with other timeline articles. See Wikipedia:WikiProject Timeline of spaceflight for guidelines on how to improve the article. The following is an outline of 1979 in spaceflight. Kosmos 1124 Extremely Elliptical Orbit (68 degrees inclination) unknown Launch successful. 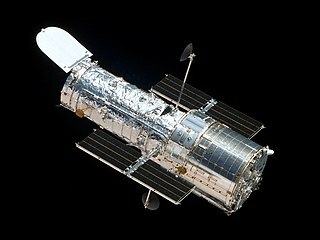 Satellite exploded 9 September 1979 into 8 pieces. The Explorers Program is a United States space exploration program that provides flight opportunities for physics, geophysics, heliophysics, and astrophysics investigations from space. Launched in 1958, Explorer 1 was USA's first spacecraft to achieve orbit. Over 90 space missions have been launched since. Starting with Explorer 6, it has been operated by NASA, with regular collaboration with a variety of other institutions, including many international partners. Landsat 3 is the third satellite of the Landsat program. It was launched on March 5, 1978, with the primary goal of providing a global archive of satellite imagery. Unlike later Landsat satellites, Landsat 3 was managed solely by NASA. Landsat 3 decommissioned on September 7, 1983, beyond its design life of one year. The data collected during Landsat 3's lifetime was used by 31 countries. Countries that cannot afford their own satellite are able to use the data for ecological preservation efforts and to determine the location of natural resources. This article outlines notable events occurring in 2006 in spaceflight, including major launches and EVAs. 2006 saw Brazil, Iran, and Sweden all get a national into space for the first time. The Orbiting Carbon Observatory (OCO) is a NASA satellite mission intended to provide global space-based observations of atmospheric carbon dioxide. The original spacecraft was lost in a launch failure on 24 February 2009, when the payload fairing of the Taurus rocket which was carrying it failed to separate during ascent. The added mass of the fairing prevented the satellite from reaching orbit. It subsequently re-entered the atmosphere and crashed into the Indian Ocean near Antarctica. The replacement satellite, Orbiting Carbon Observatory 2, was launched 2 July 2014 aboard a Delta II rocket. The Orbiting Carbon Observatory 3, a stand-alone payload built from the spare OCO-2 flight instrument, will be installed on the International Space Station's Kibō Exposed Facility in April 2017. NOAA-19, designated NOAA-N' prior to launch, is the last of the United States National Oceanic and Atmospheric Administration's POES series of weather satellites. NOAA-19 was launched on February 6, 2009. Peter H. Schultz is Professor of Geological Sciences at Brown University specializing in the study of planetary geology, impact cratering on the Earth and other objects in the Solar System, and volcanic modifications of planetary surfaces. He was co-investigator to the NASA Science Mission Directorate spacecraft Deep Impact and the Lunar Crater Observation and Sensing Satellite (LCROSS). He was awarded the Barringer Medal of the Meteoritical Society in 2004 for his theoretical and experimental studies of impact craters. SOCRATES or Space Optical Communications Research Advanced Technology Satellite is a Japanese micro-satellite launched in 2014. The satellite is purely a technology demonstrator intended to help AES company to gain experience in basic mission control, attitude control and spacecraft communications. Its main experiment is SOTA, an optical small satellite communications demonstrator. All subsystems of spacecraft are powered by solar cells mounted on spacecraft body and stub wings, with estimated electrical power of 120W BOL degrading to 100W EOL. 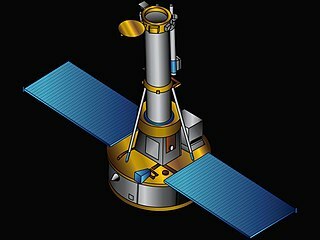 S-1, also known as Explorer S-1 and Explorer 7X, was a geoscience satellite equipped with a suite of scientific instruments to study the environment around the Earth. The spacecraft and its Juno II launch vehicle were destroyed five seconds after launch on July 16, 1959, in a spectacular launch failure caused by complications with the rocket's power supply. A relaunch of the mission in October 1959, Explorer 7 (S-1A), was successful. ↑ "Cosmos 1070". 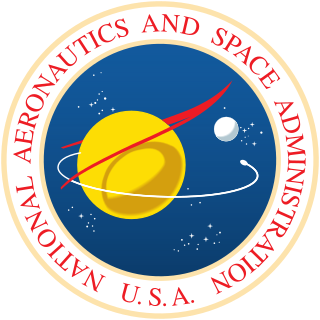 NASA Space Science Data Coordinated Archive. NASA . Retrieved 24 October 2017. ↑ "SAGE". NASA Space Science Data Coordinated Archive. NASA . Retrieved 18 October 2017. ↑ Portree, David S. F. (March 1995). "Mir Hardware Heritage" (PDF). NASA. p. 83. Archived from the original (PDF) on 24 February 2009. Retrieved 2009-02-14.